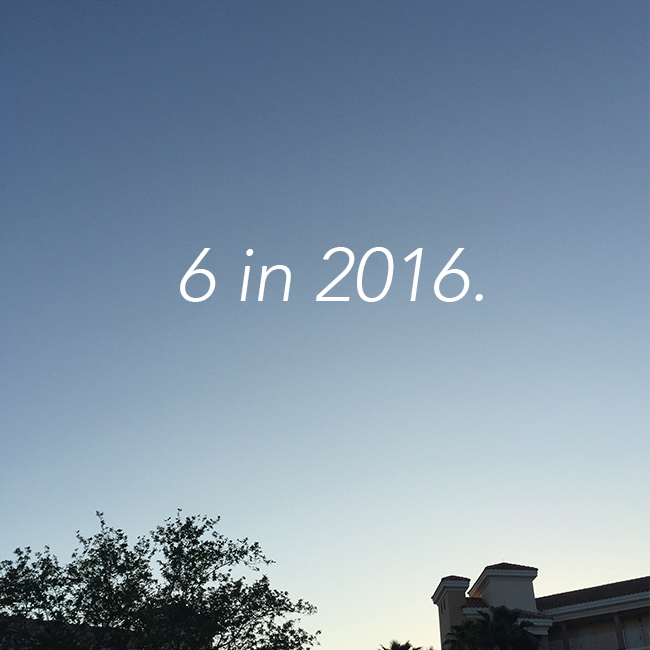 6 in 2016. — Striped Intentions / a life and style blog. I love New Year's Resolutions. As contrived as they may be, I love anything that forces me to reevaluate and live with more purpose. So, to celebrate the second month of the year and a new chapter of this blog, here are my six goals for this year. 1 // Be kinder to my body. This encompasses everything I hope to improve this year, physically. I want to eat better, work out multiple times a week, take ownership of a long-standing medical issue, improve my facial skincare and create a body skincare routine, work through mental health issues rather than bottling them up, and thinking more body positive thoughts with greater consistency. All in all, I'd like to amp up my kindness in mind, body, and spirit. 2 // Solidify my wardrobe. By the end of the year, I'd like to have a wardrobe full of clothes that I adore and that fit me well. I'd like to stop buying frequently from fast fashion retailers but rather make purposeful investments in pieces I love. While a small, capsule wardrobe is the end goal, it's less about numbers and more about honing my style and changing my shopping habits. 3 // Spend and save money with more purpose. The previous goal ties into this one, as I'd ultimately like to be more purposeful with my money this year. This means saving a decent chunk of my earnings monthly, but also means that when money is going out, it's deliberate. I've started sleeping on online purchases and thinking about my spending more thoughtfully, which I'd like to keep up. I'd also like to donate monthly to charities and put my money more into doing things or going places than into physical objects. In the end, I'd like to have a hefty savings account, lots of great memories, and pieces I adore. 4 // Make one big splurge for my birthday. This could go into my last one, but I think this is an important piece of self love that I like to celebrate! This year I purchased a Clare V. flat clutch for my twenty-first birthday and I've worn it non-stop since it arrived on my doorstep. While it was a steeper price point that I was used to, it was a great treat to myself and something I genuinely love, so I'd like to do it again this year! 5 // Spend more time and effort on my education. While I may be in a bit of a rut with my education, I am realizing that my time in school is not going to go on forever. By the time 2016 is over I'll be just about halfway done with my senior year of college, so I'd like to place a bit more of my emphasis this year on school. This means more time on studying and school work but also more prioritization of school, generally! 6 // Read twelve books. Last year I read two books. Yikes! While I managed to only pick up a few books this year and not inflate my collection of unread books any further, I still have multiple shelves full of books to read. This year I'd like to average one book a month and make leisurely reading something I do with more frequency. It's not hard to put down my laptop and pick up a book, I just need to do it!